Visit us at IEC 61850 Global! The week long event is being held from 14th to 18th October 2019 in London, UK and you’ll be able to find us there showcasing a a broad selection of our products. Our team of experts will also be on hand to offer you testing tips and advice. If you would like to arrange a meeting with one of them, please email events@megger.com. Taking place at The Chelsea Harbour Hotel in London, UK for 2019, the 6th annual IEC 61850 Global conference begins with a day long workshop on Monday followed by the 3-day main conference focused on global IEC 61850 implementation case-studies. The week long event includes an exhibition that offers talks, workshops and networking opportunities. 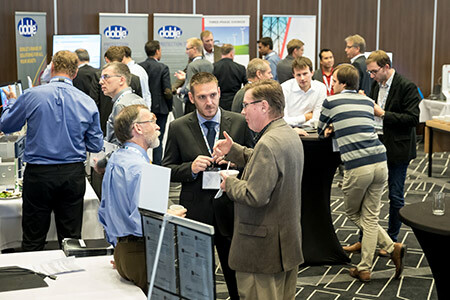 This year will see over 150 experts and implementation leaders at the event, looking at the latest utility implementation case-studies and supplier technology innovations. There will be international presentations, case studies, technology innovation panels, round table discussions, a live demo lab of the latest tools and technologies, an exhibition area displaying IEC 61850-enabled solutions and an evening reception open to all delegates.